St. John's Memorial Chapel was built when EDS was the Episcopal Theological School. Original Board member Robert Means Mason donated funds to build a chapel in honor of his wife, brother and other family members. The cornerstone was laid on June 24, 1868 and the chapel was consecrated just over a year later. It was the first building constructed specifically for use by the school and was designed by the architectural firm of Ware and Van Brunt. Two major renovations have taken place since the chapel was built first in 1930 and again in 1966-67. 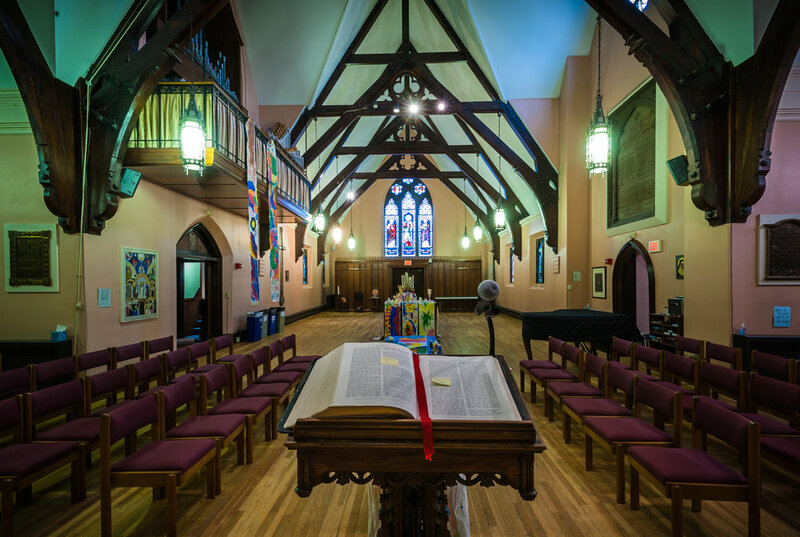 Morning and noon prayers took place on weekdays at the St. John’s Memorial Chapel on the campus of Episcopal Divinity School in Cambridge, MA. Longer services were held on Mondays and Thursdays that, like all of the gatherings, were open to those at EDS and in the broader community. In the summer of 2016, the EDS board of trustees voted to end degree programs as of June 2017. 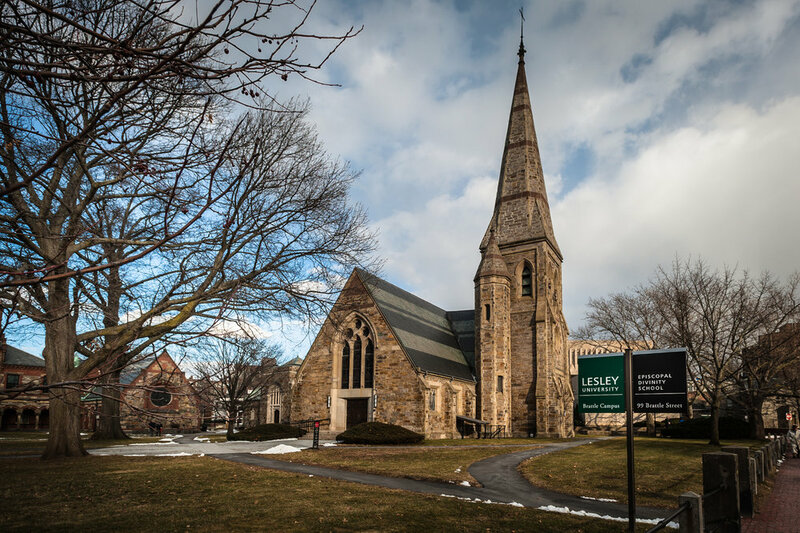 The school entered into an affiliation with Union Theological Seminary in New York City, and the Cambridge property was sold to Lesley University.